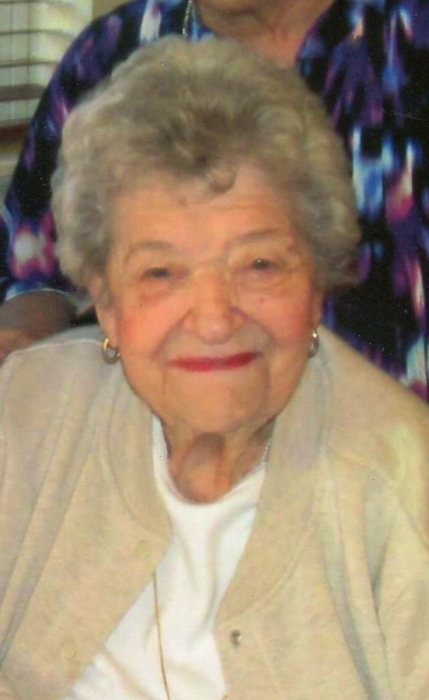 Obituary for Lois H. (Harpster) Summers | Sorge Funeral Home Inc.
Lois H. Summers, 98, formerly of Hollidaysburg and Altoona, passed away Friday at the Village of Morrisons Cove, Martinsburg. She was born in Loop Station, Hollidaysburg, daughter of the late Seth "Bud" and Esther (Logan) Harpster. Surviving are her daughters Diane A. Summers and Alice M. Bender, both of Altoona. She was preceded in death by her granddogs: Ralph and Bud. Lois was a graduate of Altoona High School, class of 1937 and Altoona School for Secretaries. She began her career working in the William F. Gable Company personnel office in 1939 until 1943 as director of personnel. Lois began working at Automotive Supply Company in 1946 as secretary to the president and retired as corporate secretary in 1990. She was a member of First United Methodist Church, Hollidaysburg and attended Newry Lutheran Church. Lois served as past President, Altoona Chapter, National Secretaries Association; past President Pennsylvania Division, Professional Secretaries International; Past Matron Altoona Chapter No. 290, Order of the Eastern Star and Worthy Grand Matron, 1970-1971 of the Grand Chapter of Pennsylvania, Order of the Eastern Star, The Harbor of Friendship Session. Lois enjoyed traveling, especially to the Outer Banks of NC with Diane and Alice; reading, spending time with her family and friends and her grand dogs. Lois states, " as made clear in First Peter...'although God may be long suffering in sending judgment, ultimately, it will come'. In view of that fact we should do our best at all times to live lives of blamelessness and Godliness." Friends will be received Thursday, July 26, 2018 from 1-3pm at Sorge Funeral Home, Inc., Hollidaysburg, immediately followed by a 3pm funeral service, Pastor John Telyea, officiating. At Lois' request, there will be no Eastern Star Service. Interment will be at Alto Reste Park.